This adorable Tiger is ready to spread your promotional message all day long. Everyone who receives this unique giveaway is sure to remember your company again and again. 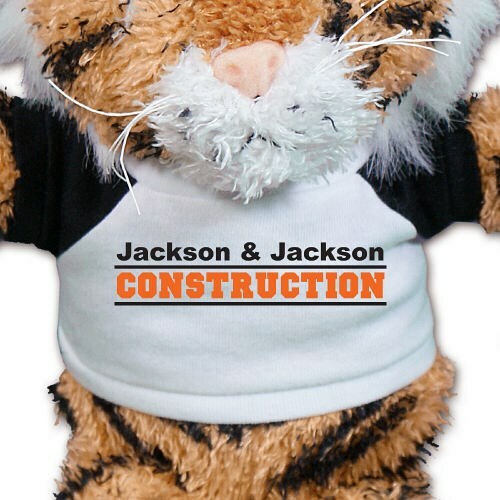 Personalize this adorable stuffed tiger’s t-shirt with a custom message and/or company logo or artwork. The Ruddly Tiger measures 10" in height and is made of polyester fibers and pellets. The t-shirt is available in white or with a white center and colored sleeves. A collection of ink color options are available. The Ruddly Tiger allows for a three line custom message and artwork image. Most orders ship within 7 business days.